The home itself is a bungalow. It sits right at the foothills of Mussoorie with gorgeous views of protected forests and hills on all sides. I always assumed India is screwed up when it comes to real estate views. But Dehradun just restored my faith completely. After all, a home without a view is like having tea without sugar. I can’t decide what I love more. To be inside or outside when it comes to Mausi’s house. The beautiful garden, the outside sitting area, the beautiful weather all year round, it really is a luxury come to think of it. Living in Gurgaon, I pretty much see concrete 360 degrees around my house. Sure there are little bits and pieces of landscaping done, but let’s face it there is no winning against mother nature. My favourite season in this house has to be spring. It is probably the best time to enjoy the garden life. The pots, plants, the greenery all around is the most mesmerising feeling. Not to forget the beautiful weather. It adds up to a lovely morning time at this residence. It’s no surprise, come morning, pretty much everyone one is outside the main home chilling in this space. If this was not enough, on the other side of the property, there is a big space (lawn) for the family dogs to run around. It makes life so much easier when you don’t have to walk the dogs all the time. The interior of the home is warm with lots of wood and cane elements. The primary colour palette consists of light wood and red/maroon with hints of deep green in some parts. The only pops of colour you’ll see is in the cushion covers. They change with the seasons, giving the home a pop of happiness all the time. It instantly makes you feel invited, cosy and at home. It’s only in the north and probably parts of the northeast where you can really do wooden interiors. During the toughest winter days, the home still remains pretty warm and all you need to do is cosy up next to this stunning fireplace. Now, if you’re also wondering where did she manage to collect so many different antique pieces for her home? Well, I had the same question in my mind. So I had to ask Mausi. It takes a village to gather a lifetime of home decor elements to decorate a beautiful home. I should know, as I am constantly looking to add to my collection. It’s often impossible to find the exact piece you’re looking for. Not everything can be found in the same city. That’s precisely what Mausi has been doing all throughout her army life. She has collected so many of these items over the years from a thousand different locations. Its impossible to pinpoint and list down all the items from each location. Every nook and corner of the house has a story to tell. 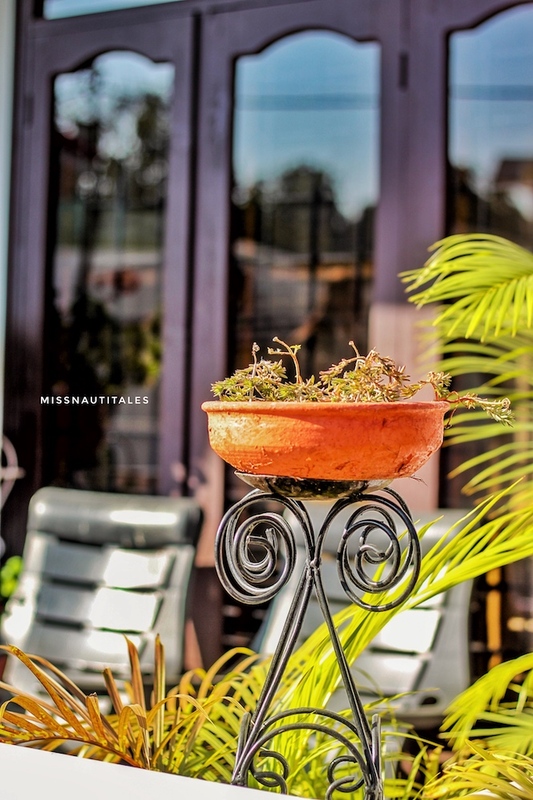 Whether it is the porcelain dolls or the tea estate side tables, there are so many little things that have been put together to make this Beautiful Home Dehradun. In a world when Pinterest is changing our preferences towards an all white home, this is a stark reminder of what warm, fuzzy Indian homes traditionally feel like.